Fruitful Vine Creations is owned and operated by my friend, homeschooling mom, Tonya Chapa. I remember the first time I walked into Tonya’s home; I was struck by the simple beauty of the words and Scripture verses that adorned her walls. 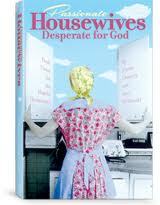 I was intrigued by the delicate script that added an air of gentle welcome and godliness to her already beautiful home. As a guest, my eye was automatically drawn around the room to the words the Chapas had chosen to represent them as a family. Fruitful Vine Creations is soon launching a new feature called My Fruitful Deal. They will be offering a weekly deal at a deep discount. Be sure to sign up by clicking on the image below so that you don’t miss any of their limited quantity offers! It wasn’t long before our family ordered some of her designs to adorn the walls of our own home. 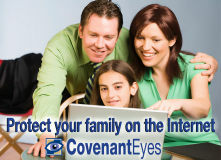 Imagine, entering your living room and being reminded of the truth of Ezekiel 36:23 or held accountable by the words of Philippians 4:8 in your library or beside your computer. 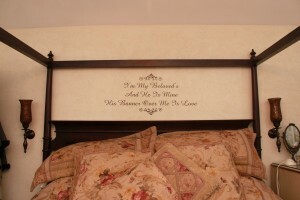 Imagine the poetic beauty of Song of Solomon adorning the walls of your master bedroom! 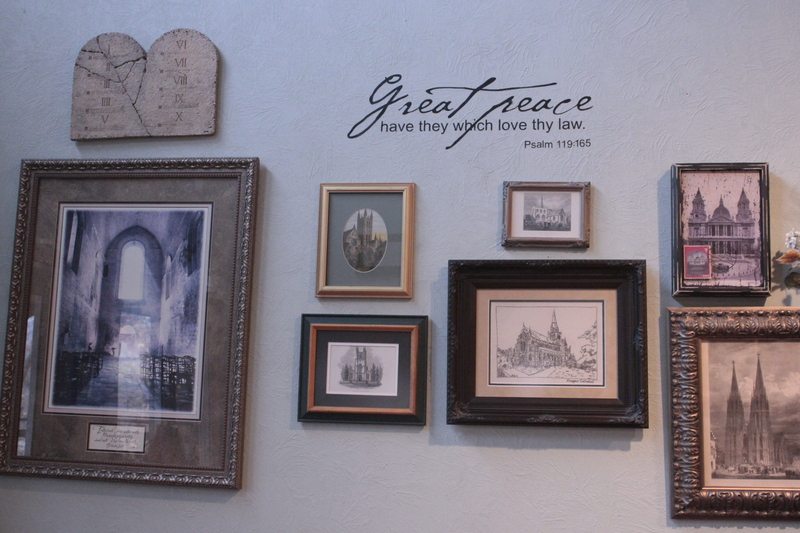 Quotes, poems, sayings and Scriptures not only add a spirit of encouragement to one’s home, but also art! While Tonya has plenty of samples to select from, she doesn’t want that to stifle your creativity. 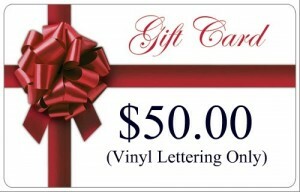 She takes custom orders and will work with you in choosing just the right words, font, and design to fit your family. 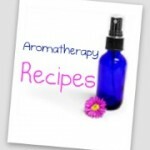 Visit Tonya at her blog, Fruitful Thoughts, or visit her website, Fruitful Vine Creations. To enter to win a $50.00 Gift Certificate to Fruitful Vine Creations (vinyl lettering only), tell us here in the comment section which verse of poetry, quote, saying, or Scripture that you would love to see hanging in your home. The drawing will be held Saturday night, so hurry! And don’t forget to leave me your email address, so that I can contact you if you win! I have always wanted to put the I am my beloved’s verse in my bedroom. I think it is lovely. Hmmm….I don’t know for sure but probably Philippians 4:6-7 or v. 8. What a neat way to get fresh encouragement throughout the day! Wow, so many good ones. I would like this over the front door, The Lord bless you and keep you. Hard to choose. Probably a Psalm. I love Psalm 118. We just moved into our newly-built home, and I have been writing down every verse that I would love to write on our walls. I think my first choice right now would be Psalm 127:3, to put above our childrens’ baby pictures in our living room. Though, the I am my beloved’s is a close second! I have the 1 Cor. 13 verse in a framed print in my bedroom along with some hearts. 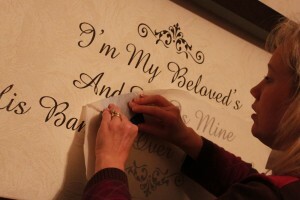 I would love to have the “I am my Beloved’s and He is mine” verse in vinyl lettering on my wall to compliment my Love theme! I would put Joshua 1:9 on my bedroom wall. The Lord has used that verse in my life more times than I can count. It is a wonderful reminder to me of His strenght even in the midst of my weakness. Proverbs 3:17 [Wisdom’s] ways are pleasant ways, and all her paths are peace. 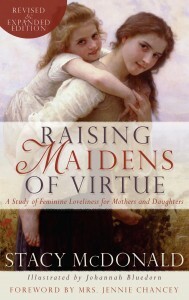 I think I would love to see Proverbs 3: 5,6 in my living room or Always kiss me goodnight in my bedroom. Oh, I don’t know! Probably Ps. 16:8-9 or Prov. 1:7 (near a bookshelf or school area). So many beautiful quotes and verses that I’d love to have in different rooms of my home! “Great Peace have they which love thy law” Psalm 119:165 I’ve been wanting that one forever… “I am my beloved’s…” is also beautiful! These are just lovely and a wonderful idea! It’s a toss up between Ez. 36:23 and Phil. 4:8. If I had to choose tonight I would choose Phil. 4:8. Just today the kids and I were looking through some of our favorite verses for a project we’re working on. I found this one on a note card I had written with a comment that said “school verse.” I would love to put this up in our classroom or even in our family room. I pray that your love will overflow more and more, ad that you will keep on growing in knowledge and understanding. For we are God’s workmanship, created in Christ Jesus to do good works, which God prepared in advance for us to do. (Ephesians 2:10 NIV84) on my bathroom mirror. We did write under our flooring when it was being put in, so our floors are covered in verses that we can no longer see. 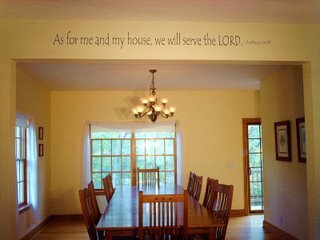 I would love the visible reminder of either 2 timothy 2:15 or Colossians 3:17.
psalm 117:2, psalm 1277: 3-5 would look really nice on the walls. Either “Taste and see that the Lord is good” or “Butter & honey shall he eat that he may know to refuse evil & choose the good” in my kitchen. I’m not sure of the exact references, but when I’m cooking I love thinking about those verses. Healthy food is delicious & gives glory to our wonderful Creator!! As for Me & My House is our “theme” verse, so that’s always first on my mind, but … Hmmmm. Thanks for the opportunity Stacy. Lamentations 3:22-23 is one that I’ve been wanting to order from her for quite a while! I want that laundry room!!!!!!!!!!!!!!!!!!!!! :-) OK, Psalm 91:1 or various treasures from Psalm 119. There are so many! Prov. 3:5-6, Deut. 6:5-7, Gal. 5:22-23, 2 Cor. 10:5/Matt. 6:13, Phil. 4:6-7….I need more wall space! I also have a family tree painted on a wall with generational pictures. So I thought of Psalm 100:5 or Psalm 78:6 to be by that. The possibilities are endless! I have also been debating over several to put over our bed in the master. I was just on Tonya’s website today inquiring about some scriptures for the walls at church. She does beautiful work. I would love the Jeremiah 31:3 verse! Thank you for this opportunity! I would love Joshua 24:15 in our front entry – that was our wedding verse. Michah 6:8 I would love also. So many to choose from….. They are all so beautiful! 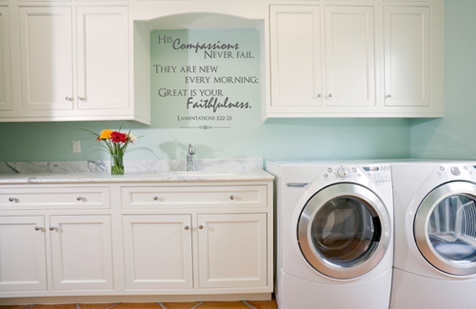 I have always wanted to decorate my home in scripture! I think I would choose John 15:11. I would choose Psalm 19:14. It was the first verse that my husband and I memorized together. It would look lovely in our family room. I like them all but I would have to choose Joshua 24:15 for our living room. :0) I tried to freehand a verse in the bathroom but never quite got it straight , these would be perfect! Beautiful work! I would love to have Phil. 4:8. Probably Psalm 19:14, they are all very beautiful. I love these! 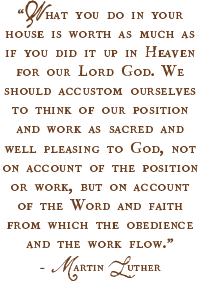 Joshua 1:9, 1 Cor 16:14, Col 3:23-24. There are many more! I would probably pick Psalm 27:1 to put on our dining room wall for everyone who enters could see and know. At the very least, I’d like the first sentence & the reference, above a picture of my parents. 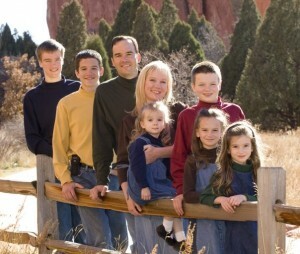 My dad is battling 4th stage malignant melanoma, at the young age of 51. I know that God might still choose to heal him in this life, but I have a strong feeling that his healing will only come before the face of God. And this verse reminds me of the fact that compared to eternity, cancer is a “light and momentary” trouble. The other would be the classic “As for me and my house.” I just LOVE to see that in the homes of dear friends. I would love to put up Isaiah 41:10. I would love “Great is Thy Faithfulness ~ Your mercies are new every morning!” Lam 3:23 . What a testimony of His faithfulness! I would love to put Jeremiah 6:16! They are all so lovely! I would have to say the “I am my beloved’s and he is mine” on my bedroom wall. God bless! 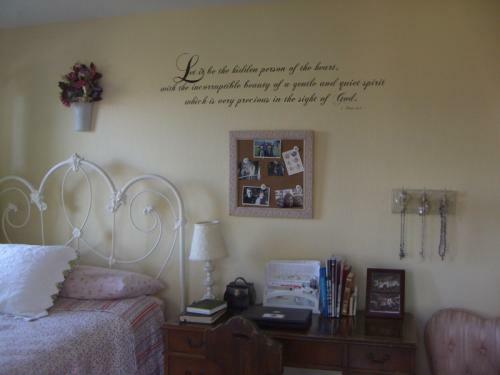 We have put scripture on our walls using self decorated printed card-stock. I would love to have one of these beautiful verses adorning our walls. There are so many that are appropriate, but right now my first choice would be Lamentations 3:22-23. I would choose Rejoice always, pray without ceasing. That has been a verse of mine for several years. They are all so good, but I would choose Philippians 4:8. Thank you for this opportunity! Love this! There are soooo many verses we’d love to have up in our home, emblazoned on the walls like that…Goodness, though, I think the first one we’d pick is 1 Cor. 16:14. That’s such a good starting point for how to handle our days~! Thanks for the chance to win this. Can’t wait to see who’s picked! I have always loved this mode of decorating. The Song of Solomon verse is Beautiful. Philippians 4:8 would be a great verse for a wall. I would love to get one for my parents that has their name, wedding year and a sweet verse. Maybe Joshua 1:9, or something from Romans, my dad loves Romans! I like the Lamentations verse! I would love to have the scripture, “Be still and know that I am God,” in my house.